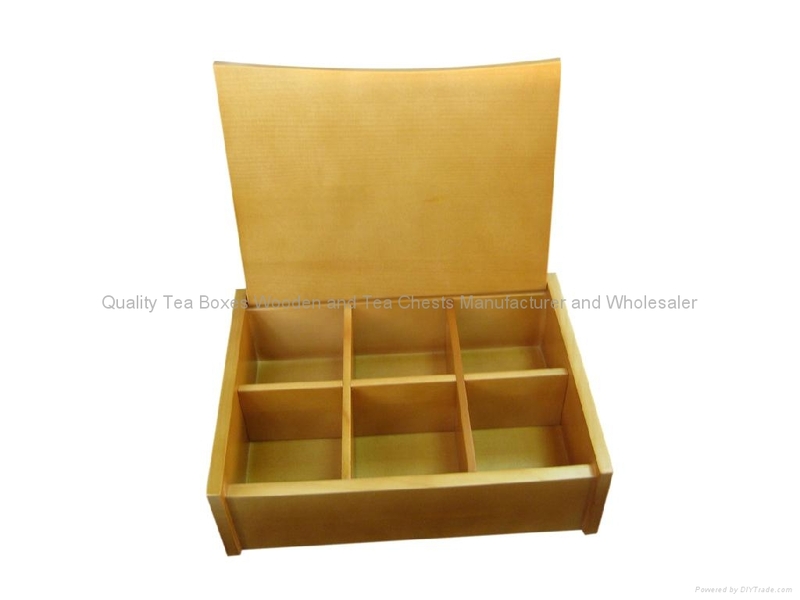 This special designed wooden tea storage box is made from solid pine wood. Instead of standard metal hardwares, we used a wood hinge to replace the standard hinge. 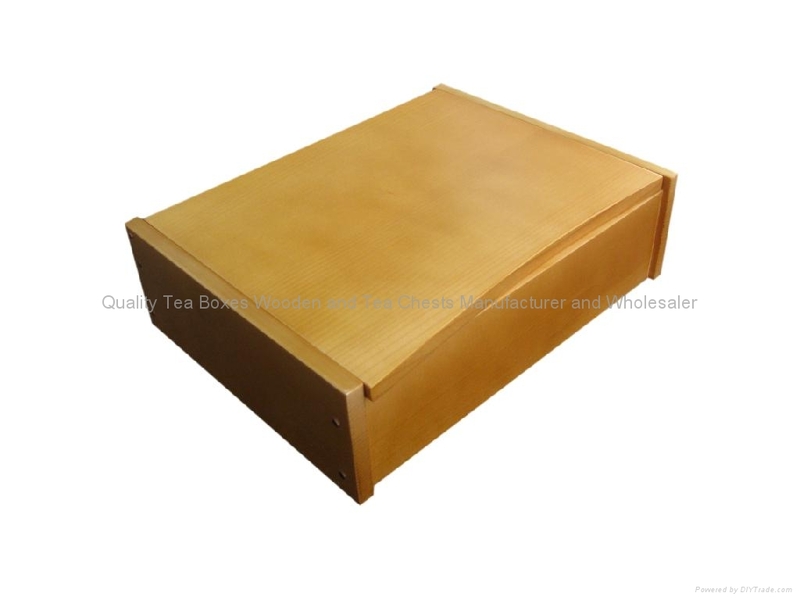 With the special designed box lid, the whole box looks much more modern and attractive. Especially the pine wood grains, we stain it with light brown finish and it has a very clear outsightings. We can engrave, emboss or print customer's logo onto the outside and inside lid. 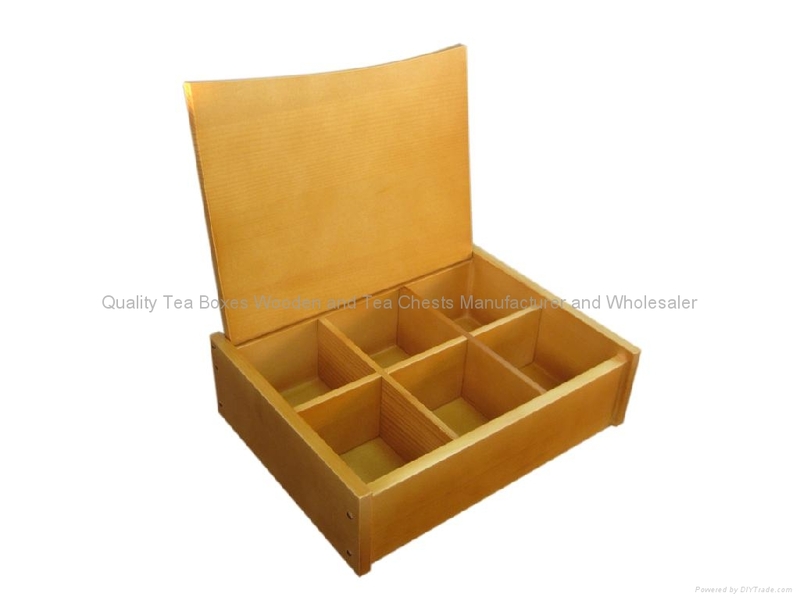 We take great pride in manufacturing the highest quality, custom made tea wooden boxes and wooden tea storage boxes with compartments for each and every customer. 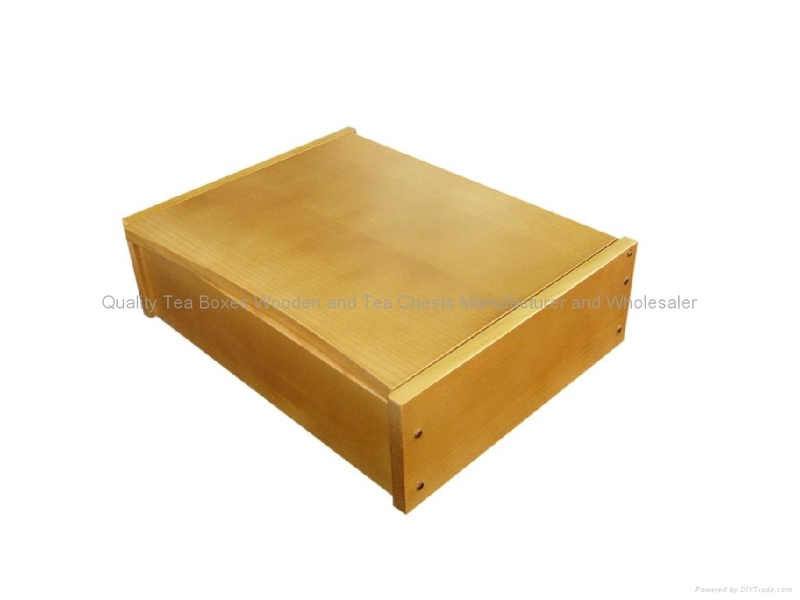 We have the skilled workforce and expertise required to meet any and all of your wooden tea box needs.